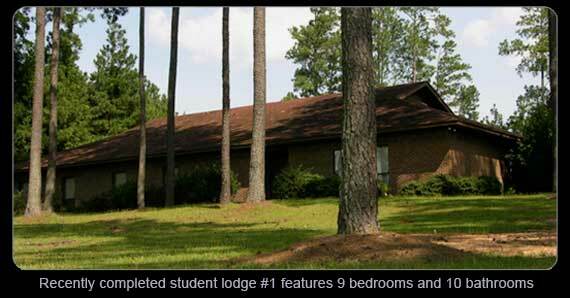 Our School is located in Dru's ancestral hometown of Blair, SC on a scenic 100-acre campus that is part of Sumter National Forest. Free from urban and metropolitan distractions, it is an ideal learning environment. Two 4000 square-foot buildings, designed to house up to 8 students each, opened in January 2009. The buildings are situated approximately 2500 feet apart, and feature 8 private bedrooms and a two-room suite, each with a private bath. Building #1 houses the main dining area, and the classroom and new automotive section are located in building #2. The artist lodging is a non-smoking facility for students only. No guests or pets are permitted. A house phone is available free of charge to make calls within the US.